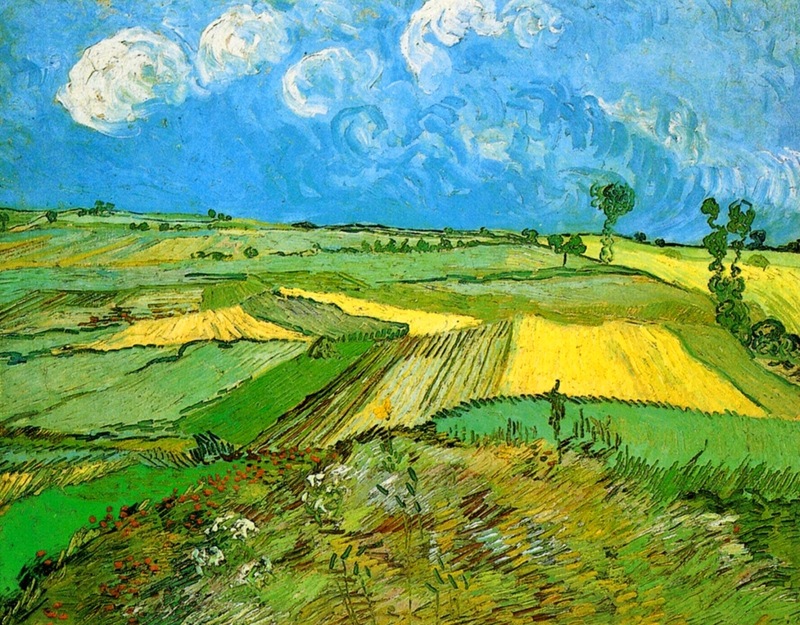 Ronnie Kerrigan: The Undiscovered Writings: What did Vincent van Gogh eat for Breakfast? What did Vincent van Gogh eat for Breakfast? The image one acquires of a genius is dependent on the selection. Whether the individual is a gifted painter, poet, philosopher, musician, inventor, or scientist, is, in fact, immaterial. Genius remains a matter of opinion and can't be measured. The genius, by accident of birth, possesses the special gift of originality, heightened perception and intuition, and embraces individualism in spite of (or because of) ridicule from contemporaries, in pursuit of their own vision and goal. There remains a potent romantic image of the genius – probably, from Victorian times – as someone disturbed, on the verge of mental collapse, unable to keep their body and soul together. This is not the case with most geniuses. Jonathan Swift, David Hume, and Galileo Galilei, come to mind. There are others, of course. The image of the artist Vincent van Gogh is a case in point. We know Van Gogh was a great artist: his works exist to to prove it. However, what is authentically known of Van Gogh's thinking, his inner tensions, the struggles his gifts bestowed upon him, his family and friends? A study of his life and work reveals a complex individual. This raises a further question: which human isn't complex? Who decides whether a painting, a poem, a novel is, or, is not, a great work of art? In reality, it is a small coterie of academics, critics, merchandisers (so-called experts); an informal jury of sorts, who can make or break an artist's reputation and fortune. Indeed, if we approach the works of geniuses without knowledge of a tragic backstory how would we view their works? It is impossible to know. The fact an artist may have died tragically at an early age draws some individuals to their works. This prior knowledge undoubtedly distorts one's view of the artist's output. How would such art be received if the artist were still alive? Would it be venerated to the same degree? As with all individuals labeled geniuses, or not, excess of natural ability does not make for satisfaction and happiness, any more than excess of wealth. Finally, what is normal? Each one of us is unique. We all have discreteness. We are all outstanding in our own way. Primarily, we are all moving in the same direction: seeking to live an authentic life out of the reach of false judges. Reflections: For some people fame and fortune are a cross or a crown. They are recognised everywhere they go. As I live in anonymity, I am able to walk around my home unrecognised by my wife and children. Even our dog has stopped peeing on my leg, an affection which, oddly, I miss.